While we might not regularly think of it as such, simply sitting down to play for a while is a science unto itself. What is it that captures the imagination or piques a particular interest, and what form of playing is educational—rather than just passing time? 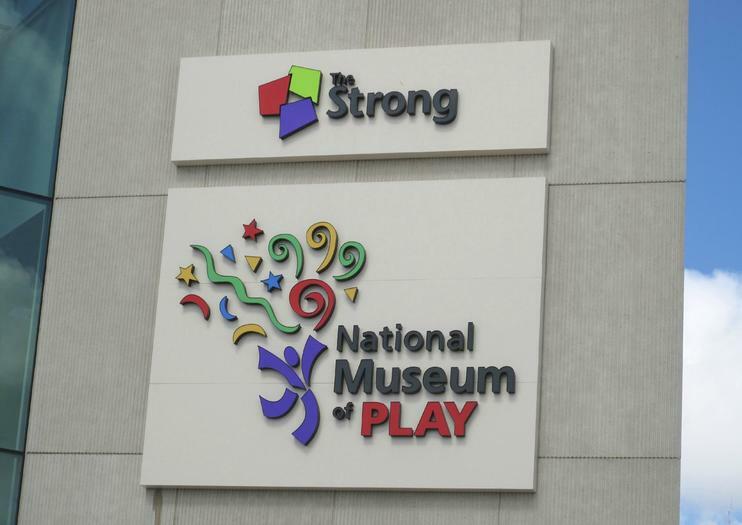 These are some the questions explored at the National Museum of Play—formerly the Strong National Museum of Play in the city of Rochester, New York. There are interactive and hands on exhibits on everything from video games to action figures, and the center has a way of bringing out the kid in even the most serious of adults. There’s a video arcade full of classic games and enormous exhibits on Sesame Street, and even an indoor butterfly garden that is filled with 1,000 butterflies. While the center is heavily geared towards kids, it ends up being a family outing that everyone in the party can enjoy, since it’s hard to go wrong when visiting a building full of 400,000 toys. There is a small restaurant on site if you end up wanting to visit for the entire day, which ends up happening fairly frequently for families swept up in the fun. The museum is located towards the center of Rochester, only a couple blocks back from the Genessee River on the western side of town. It costs $14 per person ages 2 and up, and an additional $4 for a 20-minute experience inside of the butterfly garden. Discover exhibitions devoted to play, fun and kid-focused education with tickets to The Strong Museum in Rochester. Explore the cultural history of play in a series of creative, entertaining and colorful exhibits that range from comic books to arcades and a giant kaleidoscope. See modern and old fashioned favorites in the National Toy Hall of Fame and World Video Game Hall of Fame and take in the world’s largest collection of toys, games and dolls.